NOW IT is much easier for people to fly from China to Taiwan and to Taiwan to China from the, er, domestic airport, a stream of visitors from the mainland come to Old Taipei to sample, we’re told, the excellent pineapple cake produced here and to buy expensive watches. Where better to do that than in the stunningly expensive Taipei 101, full of high class brands that you and I cannot possibly forward. 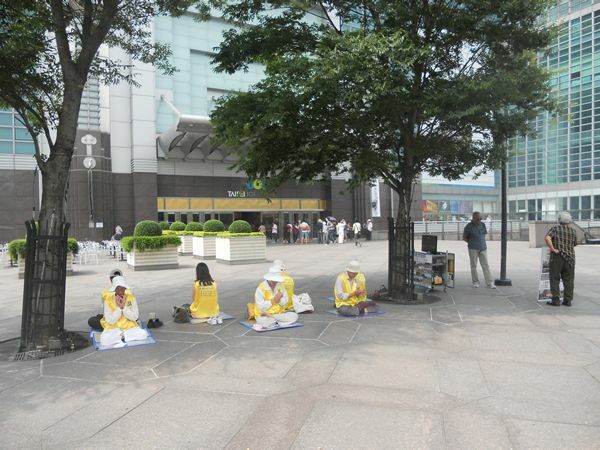 This entry was posted in Uncategorized and tagged bangang, falun gong, mainland china, nangang, Taipei, taipei 101. Bookmark the permalink.